As a European and independent medium-sized company, AQUAFIDES puts its customers at the center of its activities. AQUAFIDES has a long-term strategy that is oriented to the needs of our customers. Quality, sustainability and fl exibility towards customer requests lie at the forefront of this strategy. Innovation, coupled with the decades of experience in the water treatment industry held by the employees and management, as well as our own in-house development and production, ensure products and services of the highest quality. Our product lines meet the requirements of most applications. In addition, the ability to develop non-standard solutions allows AQUAFIDES to meet customers individual requests with tailor made solutions. 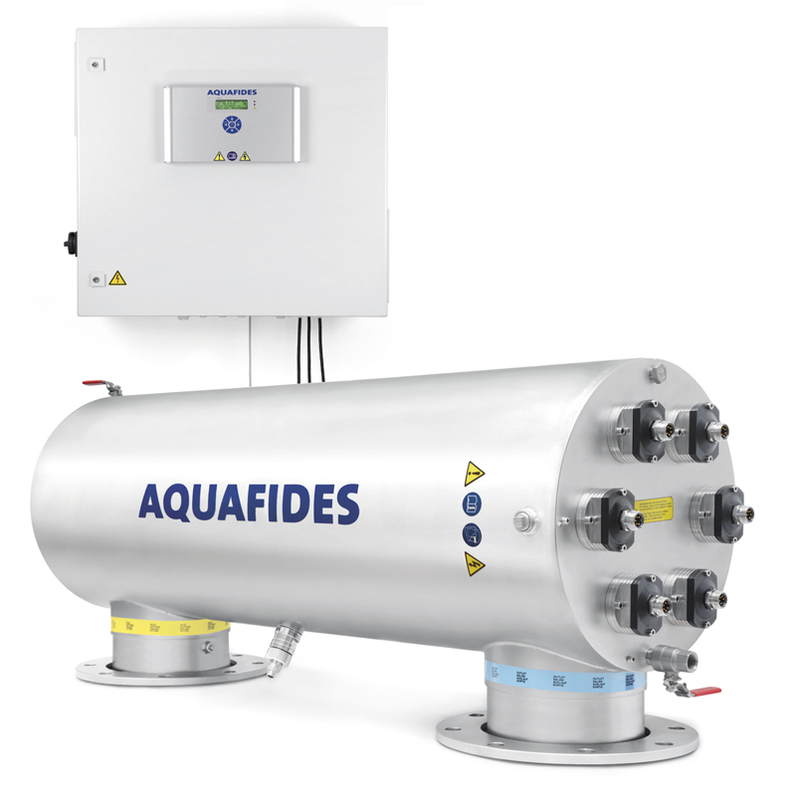 The successful development of our UV disinfection systems is built on decades of experience garnered from our customers, service technicians, sales representatives and developers from various fields of study.Optimal compact size, low energy consumption, ease of maintenance, durability and high reliability are just some of the most essential requirements that AQUAFIDES has implemented in its UV disinfection systems. Our UV disinfection systems for municipal drinking water supply are fully certified based on the latest European standards covering flows from 1 m³/h to 400 m³/h thus fulfi lling even the most challenging requirements. AQUAFIDES UV certified Disinfection Systems helps neutralize the bacteria and viruses in drinking water. The compact design of the systems offers high installation flexibility while ensuring clean drinking water in even the most challenging situations.